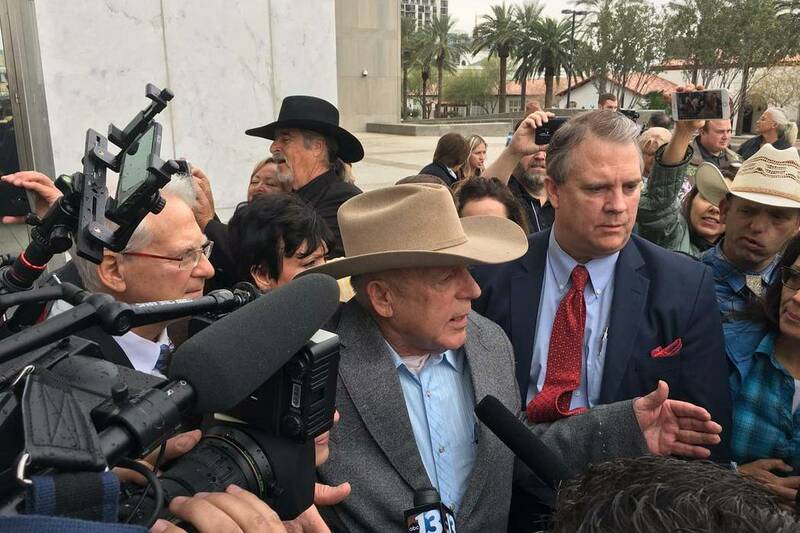 A federal judge dismissed all charges Monday against Bunkerville rancher Cliven Bundy, two of his sons and another man. 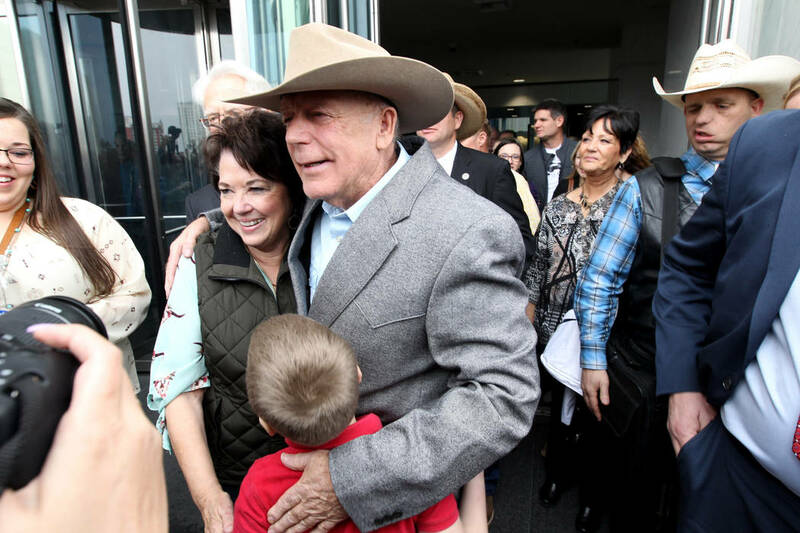 A federal judge dismissed felony conspiracy and weapons charges Monday against Bunkerville rancher Cliven Bundy, two of his sons and an independent militia member. 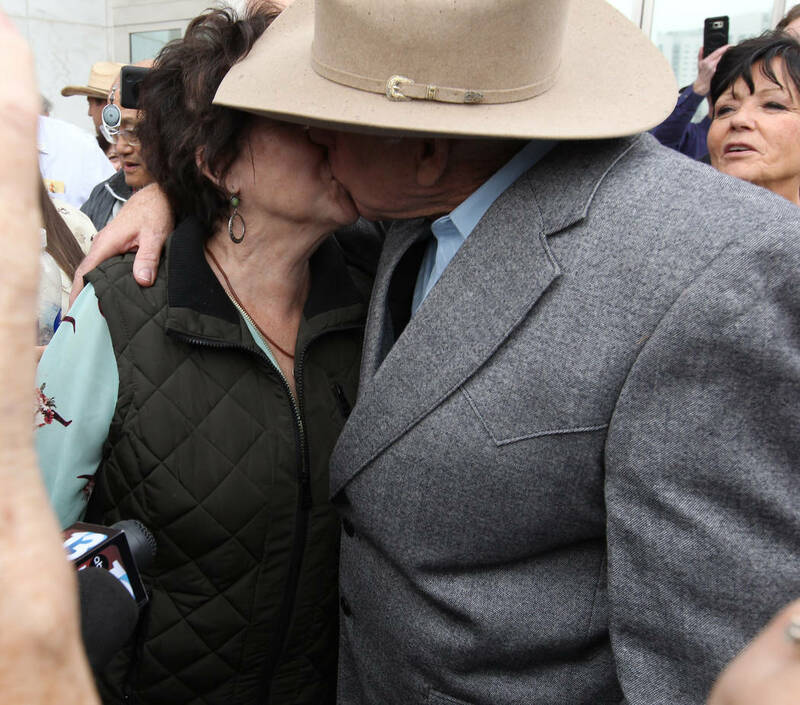 “A universal sense of justice has been violated,” Navarro said. 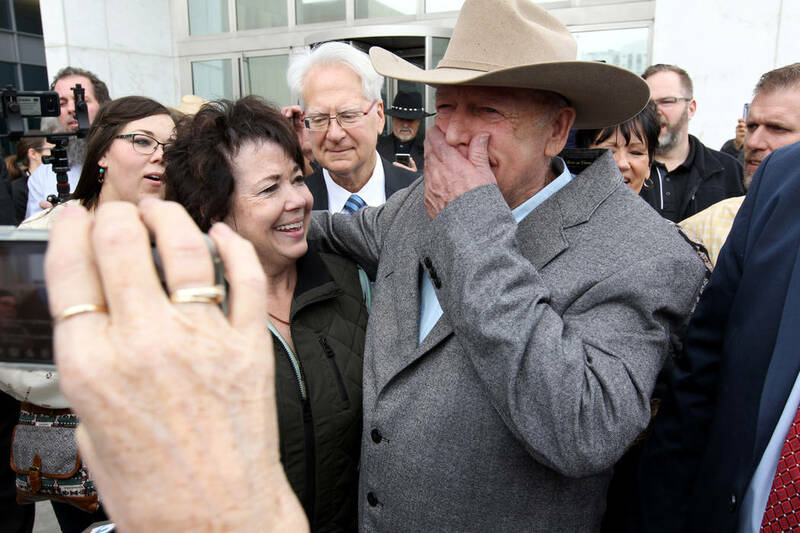 Bundy stepped out of jail-issued clothing for the first time in nearly two years, donning a cowboy hat, a blue button-down shirt, a gray sport coat, bluejeans and brown boots. 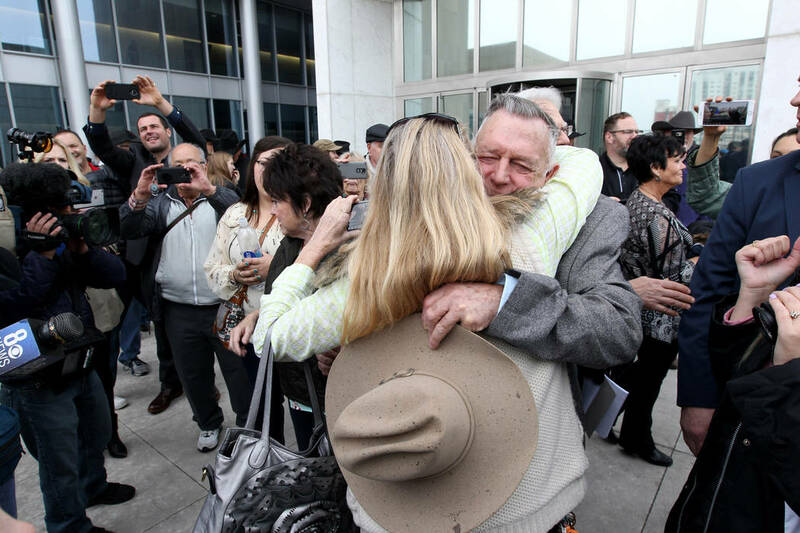 He left the federal courthouse in downtown Las Vegas with his arm around his wife, Carol. 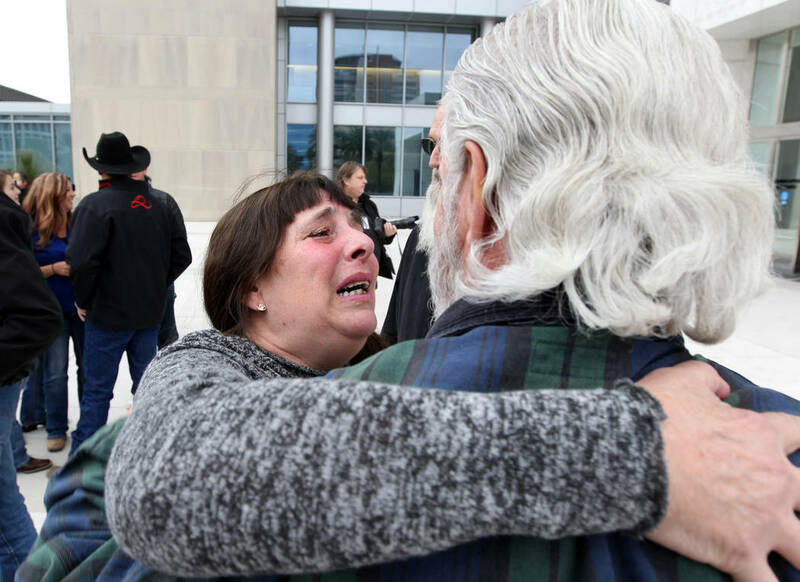 First Assistant U.S. Attorney Steven Myhre, the lead prosecutor on the case, declined to comment on the decision as he walked out of the courtroom. 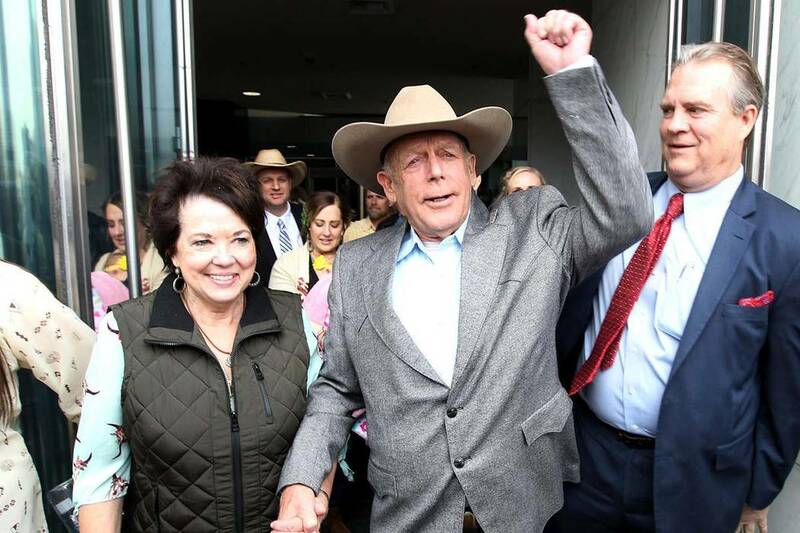 Attorney Bret Whipple, who represents Cliven Bundy, said his client wiped away tears after hearing the decision. 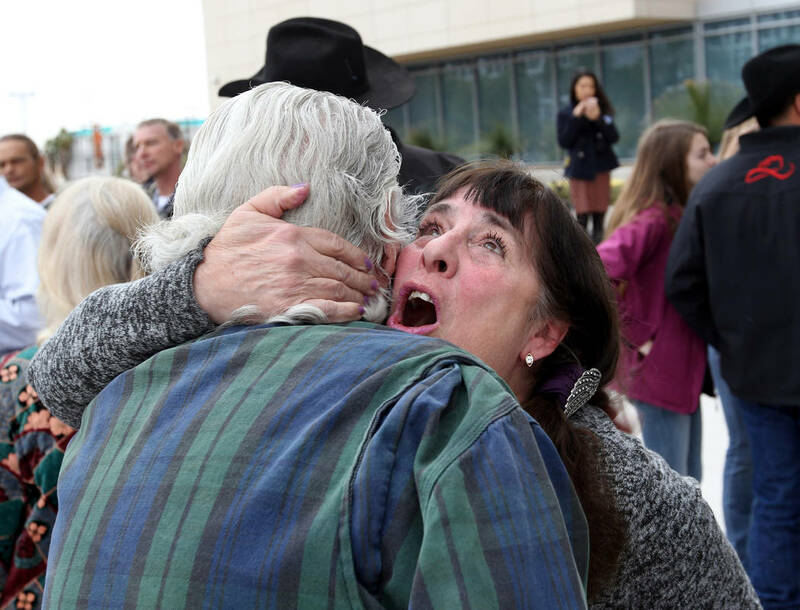 “He’s just ecstatic about the results, and we’re glad he’s finally going home,” Whipple said outside the courtroom. 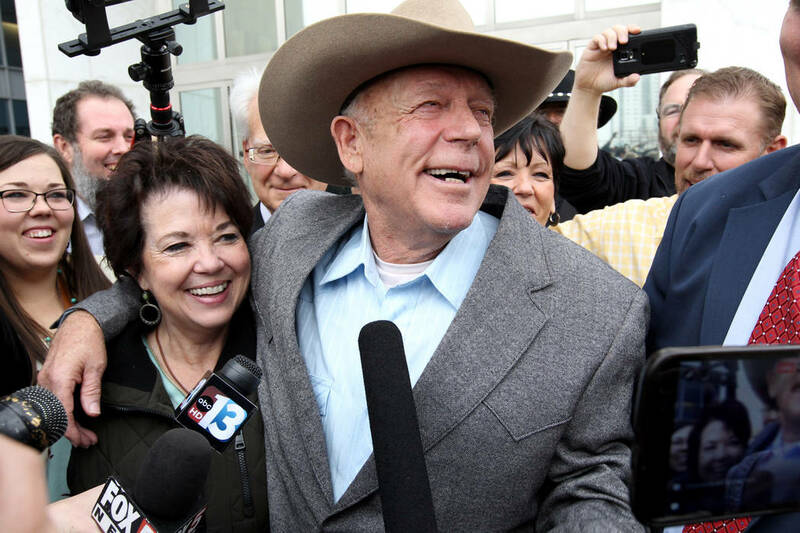 The Bundys were met at the entrance of the Lloyd George U.S. 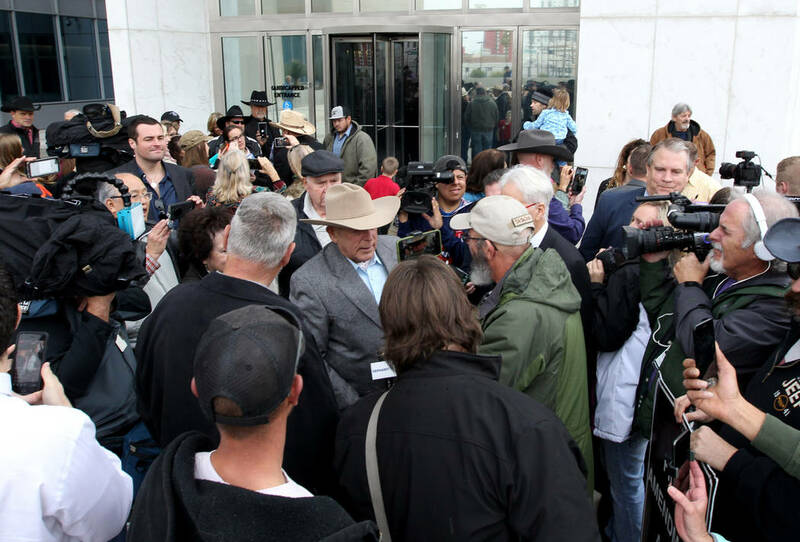 Courthouse by a crowd of reporters and cheering supporters. 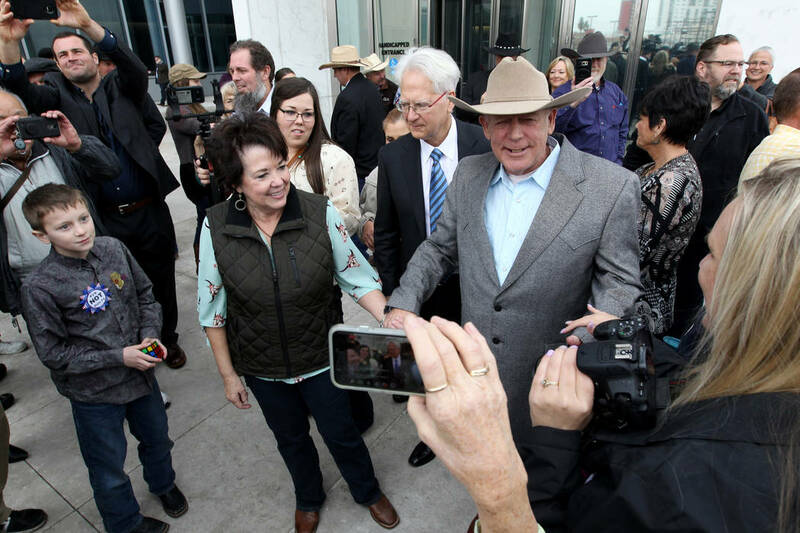 Kieran Suckling, executive director of the Center for Biological Diversity, released a statement that accused prosecutors of bungling the case. 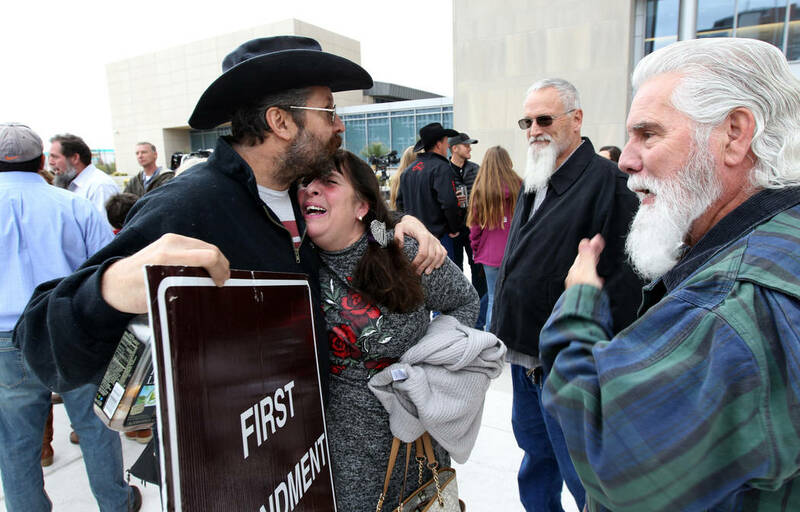 Navarro granted the mistrial Dec. 20 after finding that the federal government improperly withheld evidence. 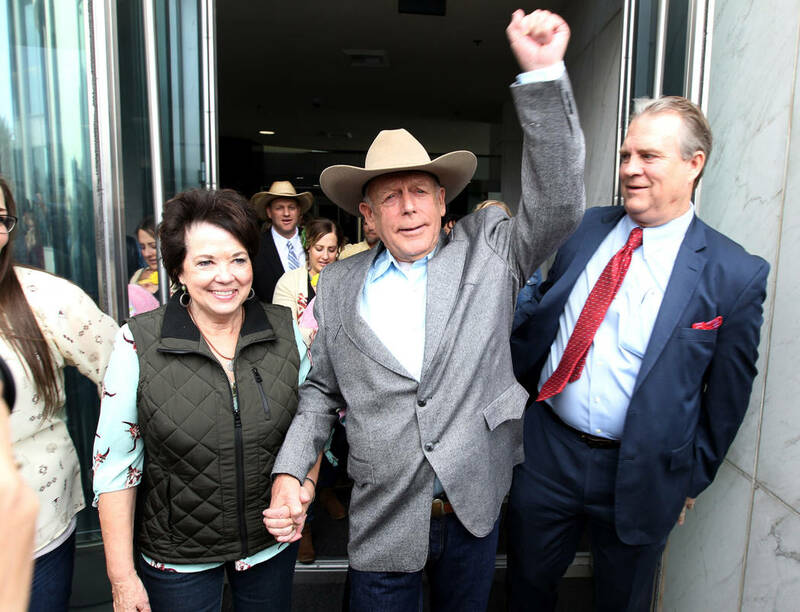 Cliven Bundy, his sons Ammon and Ryan, and co-defendant Ryan Payne went to trial in late October on charges that stemmed from a 2014 standoff with federal agents. 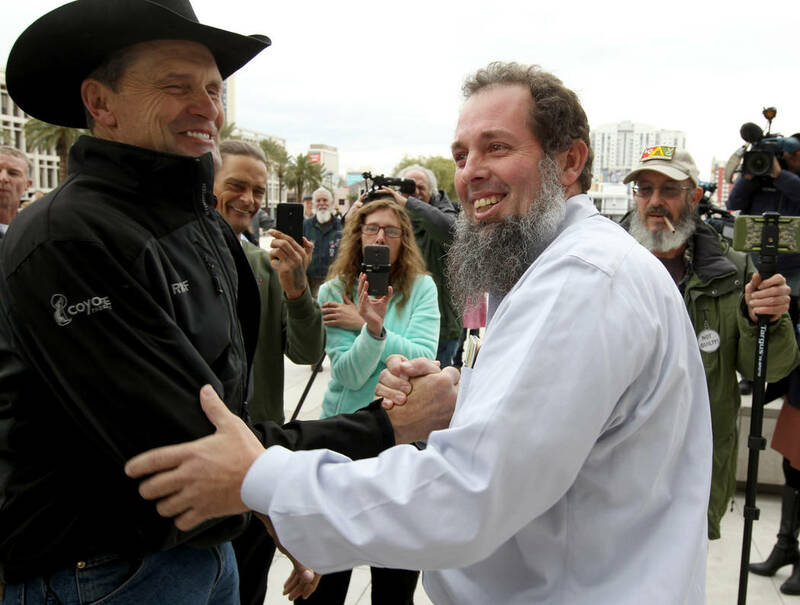 “God gave us the advantage, and the truth will set you free,” Ammon Bundy told reporters after Monday’s ruling. 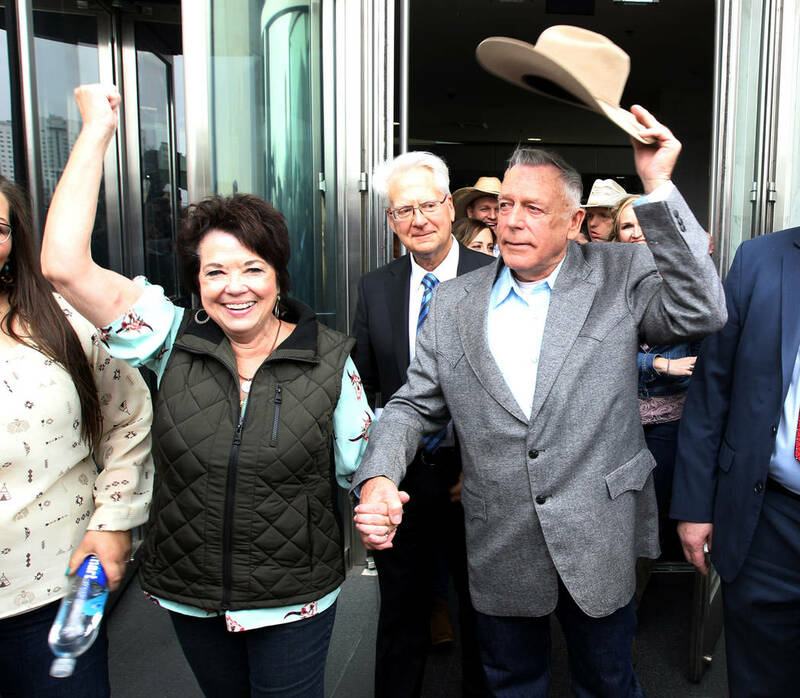 Ryan Bundy said Navarro should dismiss the case against all remaining defendants. “The government has acted wrongly from the get-go,” he said.